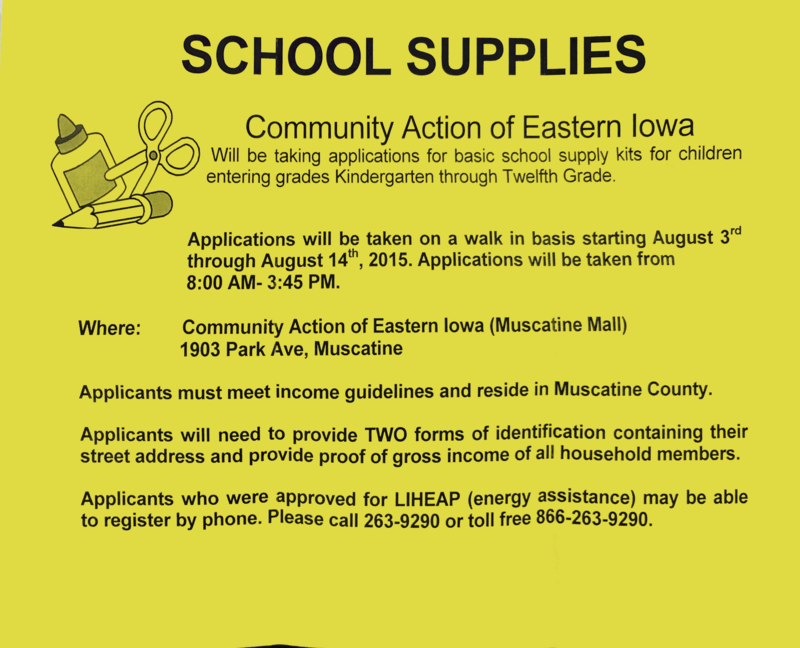 Community Action of Iowa will be taking applications for basic school supplies for students entering Kindergarten through Grade 12. Applications will be taken on a walk in basis beginning August 3rd through August 14, 2015 from 8 a.m to 3:45 p.m. at its office at the Muscatine Mall (1903 Park Avenue). 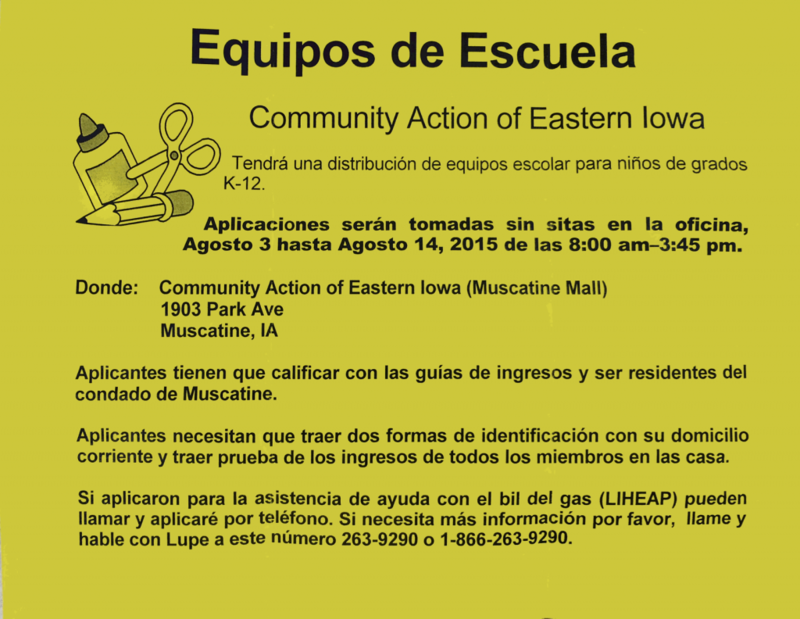 Applicants must meet income guidelines. Please see the picture for additional information.